Oh Dear. It’s not going too well for the neo-cons and their ‘liberal’ interventionist allies is it? The NATO fiasco in Libya. The ever-deepening crisis surrounding News International. And now this . if another country had done it they would be charged with war crimes. we went to war because he assured us they had wmd that could strike us within 45mins... this was a lie so why is he not held accountable for our military loss and that of everyone else who perished? Any chance of war crimes charges being brought? Let’s hope that war crimes charges are indeed brought. The case against The Bliar, as I argued here, is rock solid. Meanwhile, here's the latest news from the country that Tony and his neo-con pals ‘liberated’ in 2003. THAT men do not learn very much from the lessons of history is the most important of all the lessons that history has to teach, the great sage Aldous Huxley once wrote. It’s hard to think of a more appropriate judgment on Britain’s military involvement in Libya. After the disastrous invasion of Iraq – a war based on dodgy dossiers and misinformation which has led to the deaths of hundreds of thousands of people, you would have thought that the British Government would have done all it could to keep our country out of any more unnecessary Middle East military conflicts, especially as the war in Afghanistan is still ongoing. Indeed when David Cameron became PM last year many people hoped that he would make a clean break with the foreign policy of New Labour and its enthusiasm for sending Britain’s armed forces around the globe to act as world policemen. But he has cruelly disappointed by taking us into yet another ill-thought-out military adventure. The Libyan rebels have suffered a serious setback following yesterday's assassination of the commander of their army, General Abdul Fattah Younes, with suspicions being raised that he may even have been killed by his own side. The news will trouble politicians in Britain, who on Wednesday made the bold move of recognising the NTC as the official government of Libya, despite earlier protestations that the UK only recognises states. 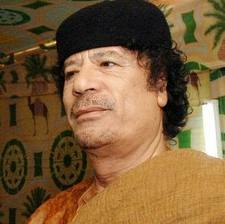 Making the announcement, foreign secretary William Hague praised the rebels for their "commitment to a more open and democratic Libya", a sentiment that may turn out to be premature. Suppose you had read an article on January 1, 2011 predicting that popular uprisings would topple President Hosni Mubarak of Egypt and seriously threaten a whole host of other long-established and corrupt Arab regimes; that the Murdoch media empire would be facing meltdown, with Rupert Murdoch himself humiliated by a custard-pie thrower at a Commons select committee hearing; and that bookies would be offering odds of 6-1 in July that David Cameron would be the next member of the government to quit. You would have dismissed the author of the piece as a fantasist. What on earth is going on? Well, over a day on from first hearing about this appalling atrocity, I find it still very hard to get my head round the scale of this incredibly vicious and evil attack. Not that it’s hard to work out why far-right fanatics hate the Norwegian political system. Neil Clark: David Cameron wants us to believe that rolling back state provision will benefit the public. The opposite is true. Thirty-two years after Margaret Thatcher swept into Downing Street promising to roll back the frontiers of the state, the neoliberal drive towards a fully privatised Britain is entering its final stages. The government's new Open Public Services white paper, revealed by David Cameron last week, may have passed under the radar somewhat due to the scandals engulfing the Murdoch media empire, but it's an important document nonetheless. The coalition claims that "reform of public services is a key progressive cause", and that its proposals "give power to those who have been overlooked and underserved", but in reality there is nothing progressive about its underlying objective to radically change the role of the state from a provider of public services to one that will merely ensure "fair access" to them. UPDATE: On this very subject, do try and get a copy of the new edition of Private Eye where there’s a great piece on Page 12. When David Cameron launched his Open Public Services white paper last week, he did so at a conference arranged by a think-tank funded by the very firms who will benefit from the privatisation his document proposes. Cameron unveiled his plan at a Canary Wharf event hosted by 'Reform', a right-wing charity funded by business "partners". 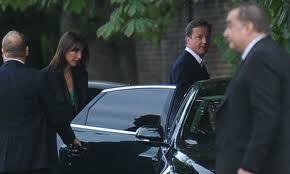 Cameron and his ministers regularly appear at Reform events; and the PM proposed "releasing the grip of state control and putting power in people's hands" . On the subject of the think-tank ‘Reform’, please take a look at this and this. This may seem a silly bubble scandal, while the real economy here freezes and the west's economy burns. It is becoming something else. We're getting a glimpse beneath the murk of the political-media class and the financial monsters who live in the deep. Watergate was important not because of Nixon, and Dallas only partly because of JFK--they both exposed the connections that really run a great many things, and the existence of a nexus of money, power and war that has nothing to do with democracy but which convinces itself that it owns the free world. You can read the whole of Martin's brilliant blog post on the scandal that is shaking the British neocon/neoliberal establishment, here. 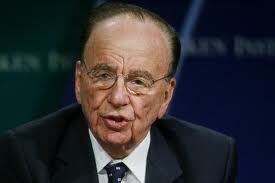 The crisis surrounding Rupert Murdoch’s UK newspaper empire has just deepened in a very big way. 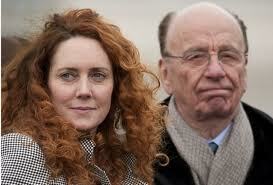 More on the arrest of Rebekah Brooks over at The First Post. UPDATE: In another dramatic development, Britain's most senior police officer, the Metropolitan Police Commissioner Sir Paul Stephenson has just resigned. Sir Paul has faced criticism for hiring former News of the World executive Neil Wallis - who was questioned by police investigating hacking - as an adviser. As bad as the phone hacking is the pro-war propaganda, argues Neil Clark. You can hear me making the case for renationalisation of the energy sector on the Emma Britton Show on BBC Radio Somerset here. The discussion starts at 32 minutes into the programme of 12th July. There is now rising speculation that Murdoch could sell off his remaining London newspapers – the profitable Sun and the loss-making Times and Sunday Times - in order to protect both his BSkyB takeover and his American media empire. It will be painful for him – he loves newspapers – but for the sake of his legacy, it might be the only option. The latest Guardian investigation suggests the malpractice contagion has spread to the Sun and the Sunday Times. According to the paper, Gordon Brown was targeted by News International newspapers for over a decade, both as chancellor and later prime minister. I am told the mood at the News International offices in Wapping is ominous following these revelations. A sell-off of the other titles would bring plurality to Britain's media landscape – if buyers can be persuaded to take on the loss-making Times and Sunday Times. And if buyers can’t be persuaded, then the loss-making Times titles will just have to go the way of the News of the World. What a huge loss to journalism that will be. Not. Scotland Yard has accused News International of undermining its inquiry into police corruption by leaking confidential details of investigations to the media. NI has orchestrated a "deliberate campaign to undermine the investigation into alleged payments by corrupt journalists to corrupt police officers and divert attention from elsewhere", the Met said in a statement. IT wouldn’t happen in Germany. It wouldn’t happen in France. In fact, it wouldn’t happen in any other western European country. 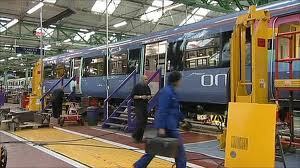 Earlier this week, Britain’s coalition government announced that it was minded to award a £1.4billion contract for new trains, not to the Derby-based company Bombardier Transportation, but to the giant German firm Siemens. While the Government’s shamefully unpatriotic decision has quite rightly been attacked as a shocking betrayal of skilled British workers, it is only the latest example of the low regard that our pro-globalisation and pro-EU political elite has for British manufacturing. For while our economic rivals still maintain a balanced economy, combining a sizeable services sector with a strong manufacturing base, successive governments in Britain have seemed happy for manufacturing jobs at home to be destroyed and for flagship British companies to be sold overseas.